fully renovated ! 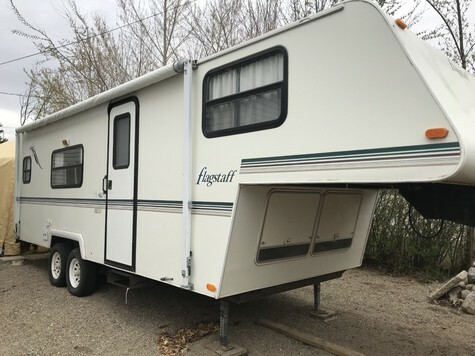 all new flooring , carpet, water heater, air conditioning works great, sleeps 6 with queen bed in fifth wheel. comes with fifth wheel hitch and plates, and everything in it pots, pans, ext. ready to hook on and go camping !